8 creatures that fantasy needs more of. From Scottish folklore, they look like those weird water ponies from My Little Pony except that they can take on human form outside of water, except for their hooves. They lure people to ride on their backs and then drag them under water and drown them. An interesting and twisted alternative to mermaids. Or ‘white women’ are like the bridge keepers that show up in fantasy and won’t let you pass unless you answer a riddle, except instead of a riddle they’ll throw you into a thistle patch if you refuse to dance with them. A Japanese myth of objects gaining life and sentience after 100 years. My favourites are the ittan-momen, bolts of cotton that wrap around people’s necks to choke them and the kasa-obake, living umbrellas that hop around on one leg. 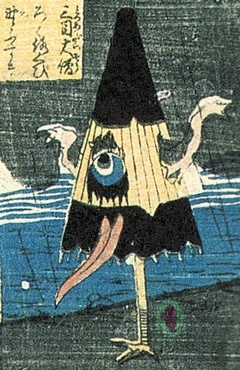 There is a whole list on Wikipedia: http://en.wikipedia.org/wiki/Tsukumogami. This sounds like the sort of overblown whimsy you see in Ghibli films, but there’s no reason a fantasy novel can’t have a similar concept. Possibly one of Dungeons and Dragon’s most famous creatures, they look like big floating heads with scary huge teeth and single eyes. From their eye stalks they fires rays that can cause damage, put you to sleep, restrain, levitate, confuse, induce fear, or disintegrate. 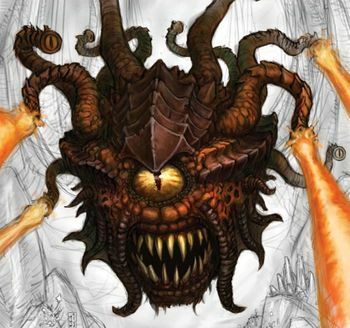 As they are registered property of Wizards of the Coast, you probably can’t use the word ‘beholder’ but you can use them as the base for your own monster. Tree nymphs from Greek mythology, with similar creatures in many other countries’ myths as well. They usually appear as human women and their lives are tied to their trees. They must replant their trees whenever they move somewhere new and if the tree dies then they die with it. 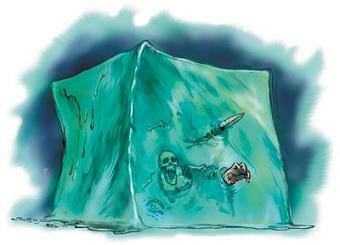 Anyone who’s ever played Dungeons and Dragons has just groaned. These things are horrible and nearly impossible to defeat. They are literally just ten foot cubes of ooze which cause paralysis when touched and absorb anything they come into contact with. You’d better have a good magic user in your party because they can’t be hurt with physical force or weapons. 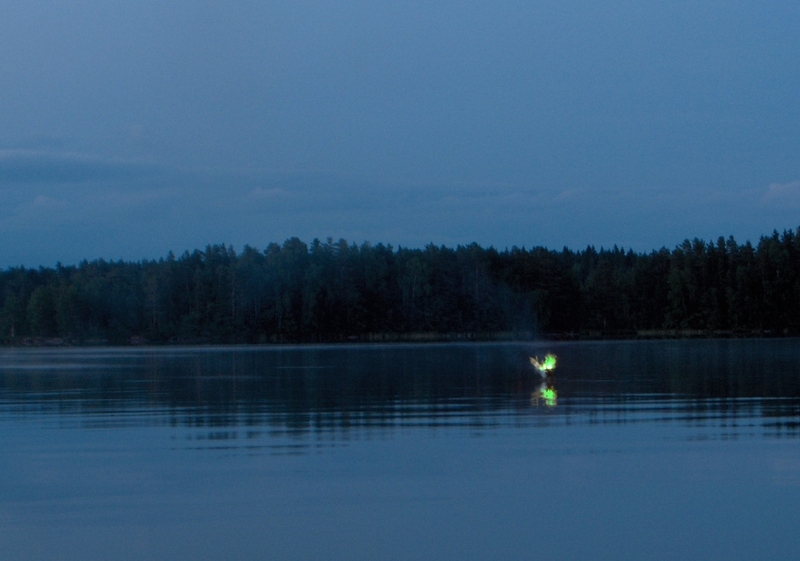 There are many stories of lights that float over swamps or bogs, seemingly to lure unsuspecting travelers away from safe paths to their deaths, but there are many variations. Scandinavian folklore says they point the way to treasure, especially on Midsummer’s day. The German version likes to make fun of couples making out. There are numerous possibilities that your wisps can have. 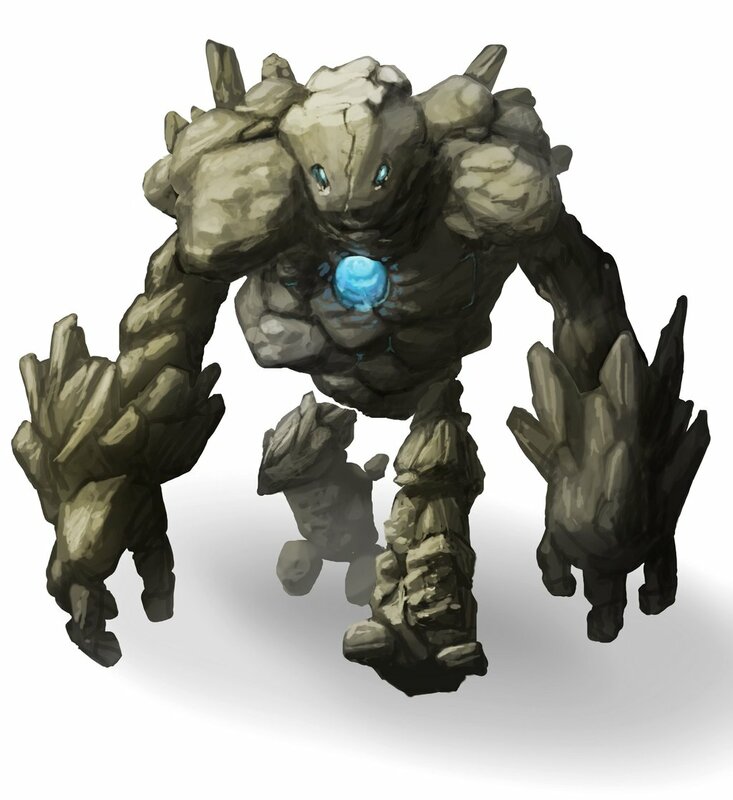 Also known as a construct, guardian, homunculus, and many other names, these are inanimate beings made of metal, stone, wood, mud, or sometimes even human flesh brought to life by magic, spells or some kind of energy. I don’t know why but I’m fascinated by things like these. Maybe it’s because mythology had the concept of a robot long before science fiction ever did. Use mythology books or RPG monster manuals for inspiration. But if the creatures are under copyright, such as the ones invented for the Dungeons and Dragons games, use them as a base instead of directly copying them. 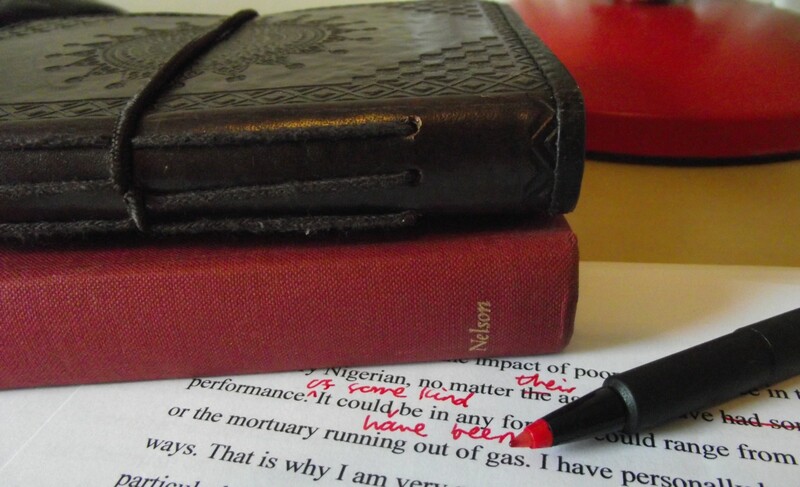 If you still want to include dragons or griffins or any other standard fantasy creature into your book, that’s still fine, as long as you find an original angle for it and don’t rely on decades old stereotypes that have long since become old. 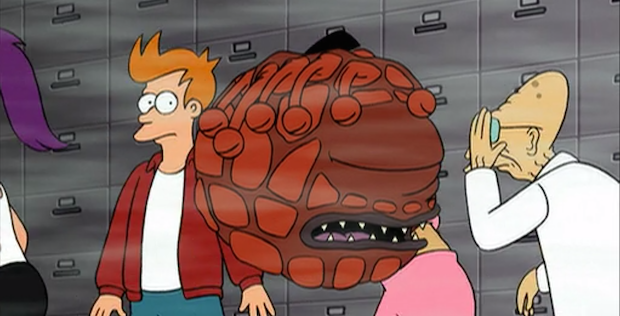 For instance, Futurama had a beholder working an office job! Avoid the ‘calling a rabbit a smeerp’ trope. This is where authors are trying to be clever by using a made up word for something that doesn’t need it, which only confuses the reader. It would make sense if the dragons in your fantasy world are called ‘wryms’ or ‘drakes’ but not if they are called ‘Qiznars’. Use real life animals for inspiration. How about a dire hyena or a ten foot tall swan? All mythology has a basis in reality, after all. Combining two animals into one is another popular option. Just off the top of my head I have penguin-monkey, owl-toad, and horse-bear. Ok, those need work but you get what I mean. Mix and match your mythological creatures to create original combinations. One of the best short stories I ever read was a dryad who fell in love with a dwarf. 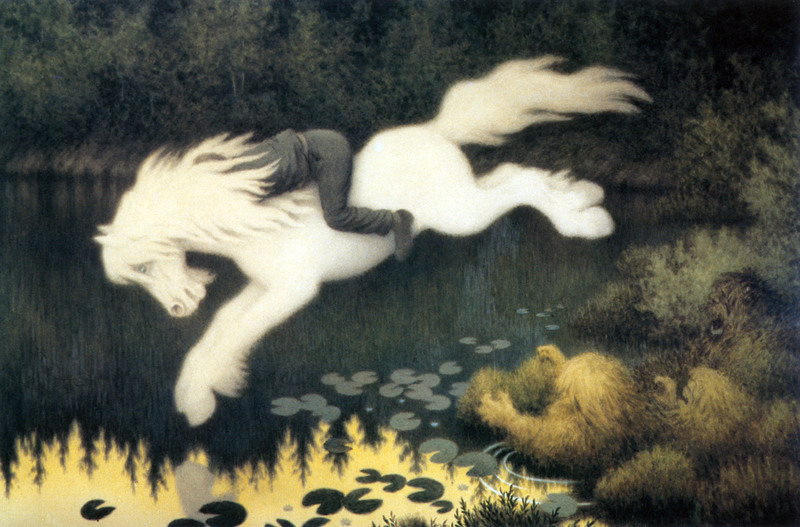 Fantasy writers and readers, are there any little known creatures you’d like to see in more fantasy stories?